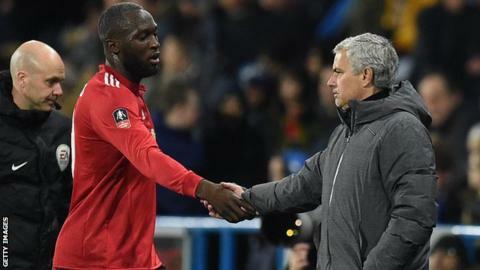 Jose Mourinho is “real” and does not fake his emotions like other managers in the Premier League, says Manchester United striker Romelu Lukaku. United boss Mourinho demanded respect from the media after an angry news conference following a 3-0 defeat by Tottenham at Old Trafford in August. But Lukaku says the Portuguese is a family man, makes the players laugh and fights for them, and deserves respect. “People know a side from him which is he’s a winner,” said Lukaku. “But what I like about him is he’s not going to fake his emotions. When he’s mad, you know he is mad. When he’s happy, you see he is happy. In an interview with Dion Dublin on Football Focus [Saturday at 12:00 BST on BBC One], the Belgium forward also talks about learning from former France and Arsenal striker Thierry Henry and ex-Chelsea forward Didier Drogba, his relationship with ex-Everton manager Ronald Koeman and wanting to finish his career with no regrets. United finished second in the Premier League last season, but have lost two of their opening four games this campaign. Lukaku, 25, says Mourinho will not shy away from confrontation when he is unhappy with the way his players or the team are performing. “Sometimes footballers, we get soft a little bit,” added Lukaku. “If I listen to players from back in the day and now, a manager cannot say what he wants to a player because you feel attacked. “But I don’t feel attacked, because that’s who I am – I am a tough man, but that doesn’t come from football, that comes from my background. “My relationship with him is cool. He makes me laugh, he makes the players laugh, he’s a real family guy. He fights for his players, but he’s real. When you’re not happy, you don’t need to fake your emotions. “People need to appreciate that, at least there are people who are real in this world like him. Because most of the managers in the league, when they are not happy they try to find a way to seem happy. Lukaku has scored 104 Premier League goals since first arriving in the England as an 18-year-old when he signed for Chelsea in 2011. 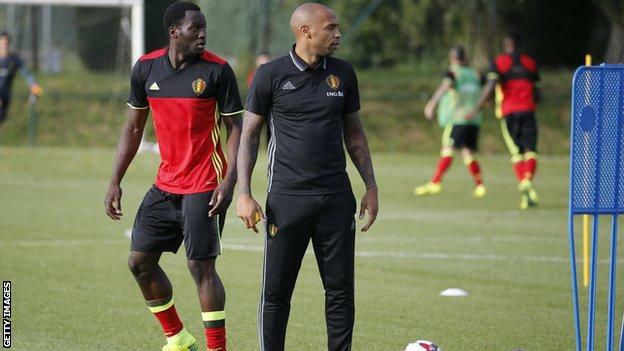 Lukaku says the former Chelsea striker has had a huge influence on his career, along Henry – Belgium’s assistant manager – and another former team-mate, Nicolas Anelka. “We talk every day. He is part of the process. He has been part of the process since I came to the Premier League. 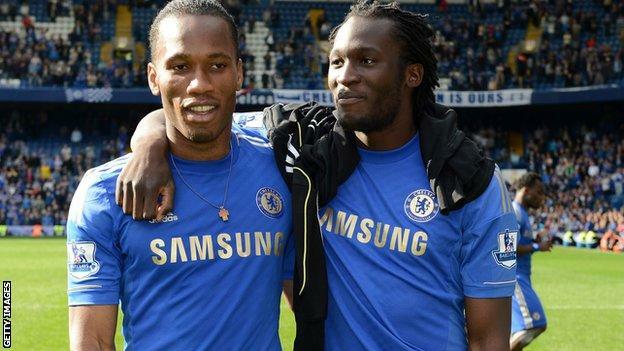 Even though we haven’t been in the same dressing room for years, he is still part of the process,” said Lukaku. “They know I accept it because I really want to have the same career as they had. “They can be as hard as they want, but I take it because I really want the same thing. Sometimes when I see Nico as well, those three are the guys when I grew up, they were like my everything. “For me to have them sharing their experience with me, I take everything in. Even if they’re trying to knock me off, it’s no problem. Those guys, they have what I want and they tell me all the time ‘you are dangerous, because you are stronger than we were’ and I debate about pace with Thierry all the time! Initially joining the club on loan for the 2013-14 season, Lukaku signed for Everton for a club record £28m the following campaign. The striker’s prolific form saw him linked with moves away from the club, before the arrival of former Netherlands and Barcelona defender Koeman, who convinced Lukaku to stay for another season. 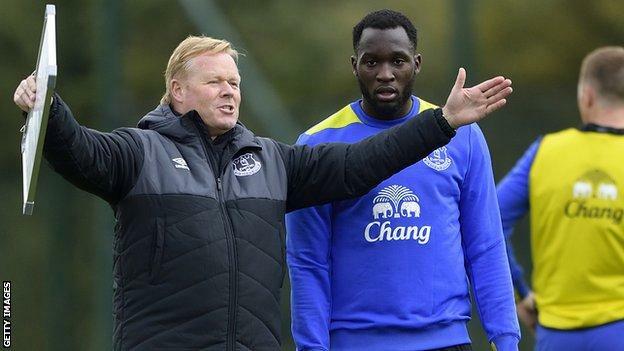 “Ronald Koeman came in and me and him really had an open discussion,” said Lukaku. “At the time, I could have left. I said to him ‘you’ve been a pro yourself, you had an opportunity to go to Barcelona at the same age’ – because I did my research! “He said ‘if you stay, I really want to help you to become a better player’. When he said that I wanted to give him a chance. That’s why I could see he was a centre-back who scored so many goals, as many as some strikers in their careers. Improving on his game is almost an obsession for Lukaku, who watches re-runs of his matches during the off season in a bid to become a more complete player. “I try to look at as many games as I can from the season before, the mistakes I have done and the points I can improve on,” he explained. “In the first week, we come in and analyse what I want to work on throughout the season. “The reason I score more and more goals, season after season, is I know my mistakes from the past, I know my strengths and I work on my strengths, but the little points I want to get better and it’s constant.